The U.S. average retail price of diesel rose 2 cents to $3.236 a gallon, while the price of a barrel of oil climbed amid a tightening of inventory. 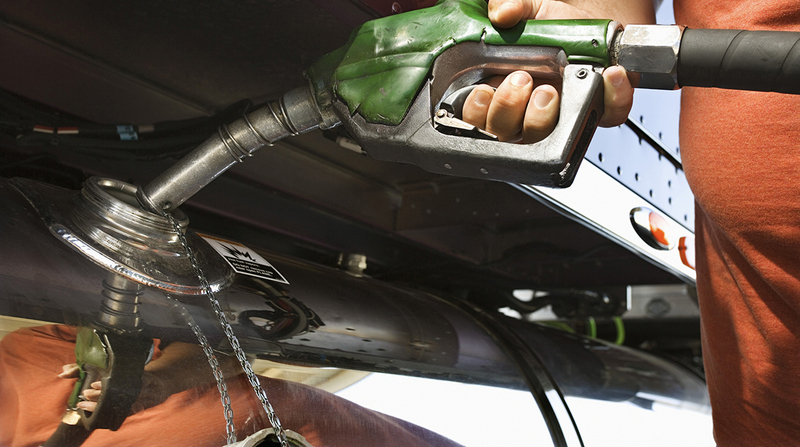 It was the first increase in the price of diesel after four consecutive declines. Trucking’s main fuel costs 76.4 cents a gallon more than it did a year ago, when the price was $2.472, the Department of Energy reported July 2. Regional average diesel prices all rose. California, at $3.96 a gallon, was $1.094 more than a year earlier. The national average price for regular gasoline rose 1.1 cents to $2.844 a gallon, DOE’s Energy Information Administration said. The average is 58.4 cents higher than it was a year ago. EIA forecasts that 2018 gasoline prices have peaked. U.S. regular-grade retail gasoline prices averaged $2.89 per gallon in June, down from a high of $2.96 a gallon May 28. EIA estimated gasoline prices will remain lower than the May 28 price for the rest of the summer, reaching $2.84 a gallon in September. Crude oil prices are moving higher, even with OPEC and other producers looking to raise production, one expert noted. “There is a lot of [supply] outages out there. Libya is running into trouble. Canada lost a Syncrude Canada facility, which equates to about 350,000 barrels a day of lost output. Things are getting tight on the oil side. So prices are following that,” Denton Cinquegrana, chief oil analyst at the Oil Price Information Service, told Transport Topics. Meanwhile, distillate supplies — primarily ultra-low-sulfur diesel used in transportation and to a lesser degree as heating oil — are tight and the market is unstable, he said. Besides tight supplies and higher crude prices, a strong global economy is lifting diesel prices, too, and producers want to move product to the highest price market, he said. U.S. exports of diesel were at a record level the week of June 26, Cinquegrana said. “When it comes to refined products and, to a certain extent, crude oil, the U.S. has become a grocery store to the world,” he said. For truckers, the cost of using diesel also will climb from new sales taxes several states levied on trucking’s main fuel. Fuel now is more expensive in Indiana, Iowa, Maryland, Oklahoma, South Carolina, Tennessee and Vermont. As of July 1, those states have joined others that have increased taxes to pump more revenue into transportation and construction projects. One way to attempt to lower the pump price for diesel is with greater use of biodiesel, one truck stop executive said. “Travel center operators have an incentive to blend biodiesel into their diesel fuel supply under the [Renewable Fuel Standard] because blending enables retailers to separate and sell [Renewable identification Number], which lowers the cost of the goods we sell every day,” Robin Puthusseril, vice president and part owner of the Greater Chicago I-55 Truck Plaza, said in testimony in June before the House Energy and Commerce Committee’s Subcommittee on Environment. The subcommittee was holding a hearing on the current status and future prospects of advanced biofuels under the RFS. The Environmental Protection Agency has proposed raising the mandated levels of biomass diesel in 2020. At the same time, crude oil futures on the New York Mercantile Exchange closed July 2 at $73.79 per barrel compared with $70.53 on June 26. It closed at $74.14 on July 3. A tighter inventory picture in the United States also has kept crude prices elevated. Stockpiles tumbled the most since September 2016 last week, production increases paused and the oil rig count has edged lower, Bloomberg News reported July 1. A tweet from President Donald Trump on the weekend suggested Saudi Arabia had agreed to pump 2 million more barrels a day. But follow-up statements from the White House and the Saudi Press Agency were more ambiguous. They both said the sides talked, but neither cited a specific target, according to Bloomberg. Adding complexity to the pricing forecasts, EIA reported U.S. crude oil inventories rose by 1.2 million barrels from the week ending June 22. At 417.9 million barrels, the inventories are about 2% below the five-year average for this time of year.